Corazon introduces Nigeria’s music export Chukuemeka Nelson Igbokwe Kuti, popularly known as Cnik Ree. 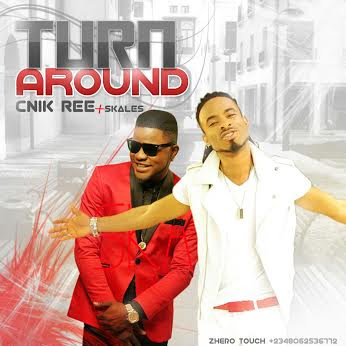 Cnik Ree was born in the 80s in Abia state, Nigeria. The multitalented dancehall, reggae and afro pop performing artiste started his music career professionally in the Diaspora in 2014 performing in countries like London, Belgium, U.S.A and now he is bringing his music and personality to his motherland, Nigeria. The Belgium based artiste presently has two tracks to his name. His latest song features former Empire Mate Entertainment act Skales titled “Turn around”, the song has generated massive acceptance with the fans and it is trending now on radio stations across Nigeria. We should expect another monster hit from the dance hall king titled “Naughty-naughty “dropping soon. Speaking with the fashion mogul and dedicated business man, he had this to say, “Most of life’s success is derived from hard work and consistency. Music for me has gone beyond sound and expressing ones feelings. It is a tool for the heart because I believe the moment you can touch someone positively with what you do, that’s limitless”. Cnik Ree’s goal is to use his experience and study of music abroad to bring something different and exciting to the market. He belief’s talent stands everyone out. He will love to work with producers and artistes within and outside Nigeria that have a clean and good heart.